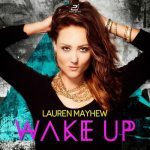 Mayhew Joins Tony Arzadon to Perform at Inception At Sea! 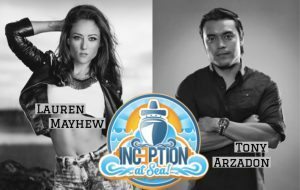 Home » Mayhew Joins Tony Arzadon to Perform at Inception At Sea! EDM, bikinis, boats, and the Bahamas! Lauren Mayhew is set to join DJ Tony Arazadon in the lineup of EDM cruise festival: Inception At Sea which sets sail March 13th from Miami and docks in Nassau, Bahamas. The cruise a 4 day music festival featuring other amazing acts like Lil John, Dada Life, 3lau, and Danny Avila. The boat will return March 17th. Mayhew and Tony Arzadon will be doing two shows: one on the boat and one on the island. They will be doing covers, as well as debuting THREE new original songs that they have been working on together! Lauren will be filming their live performance footage, as well as creating a Behind The Scenes Vlog of her journey with Tony. Catch it all on her Youtube Channel – HERE.